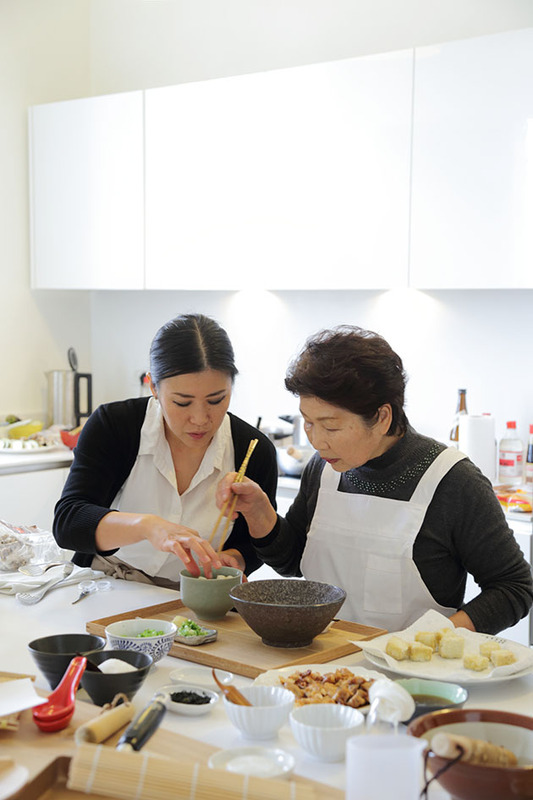 This dream involved being spectator to a mother and daughter cooking together, Japanese food, beautiful dishes and the elegant aesthetics watching the two of them dance in the kitchen. 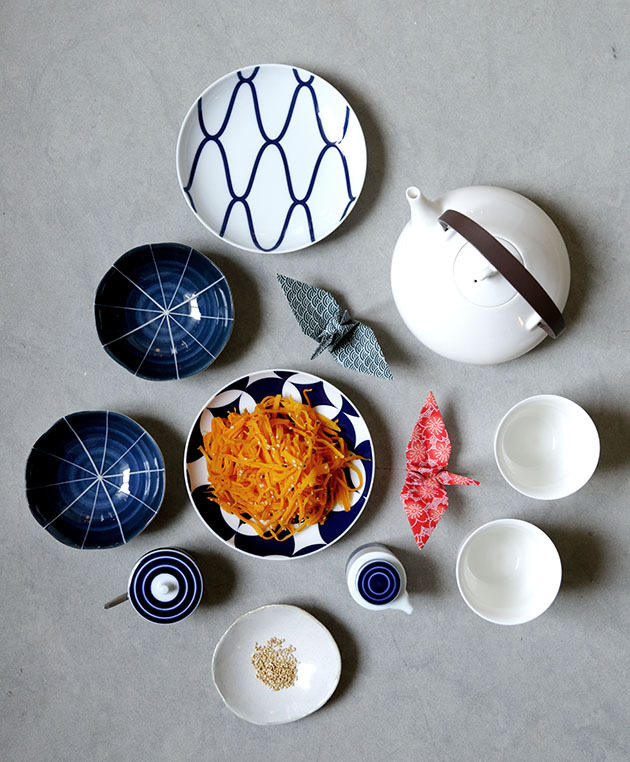 The dream also entailed the subtle range of flavors that characterizes Japanese cuisine. On that day, nothing more could’ve made me happy. Ill go back to that sublime morning. I met Yoko and Liran through a mutual friend Yonatan. Yonatan had told me that his very good friends Liran and Yoko were about to open a spa together in Jaffa. Once the spa had opened they had asked me to come and photograph the place for them. 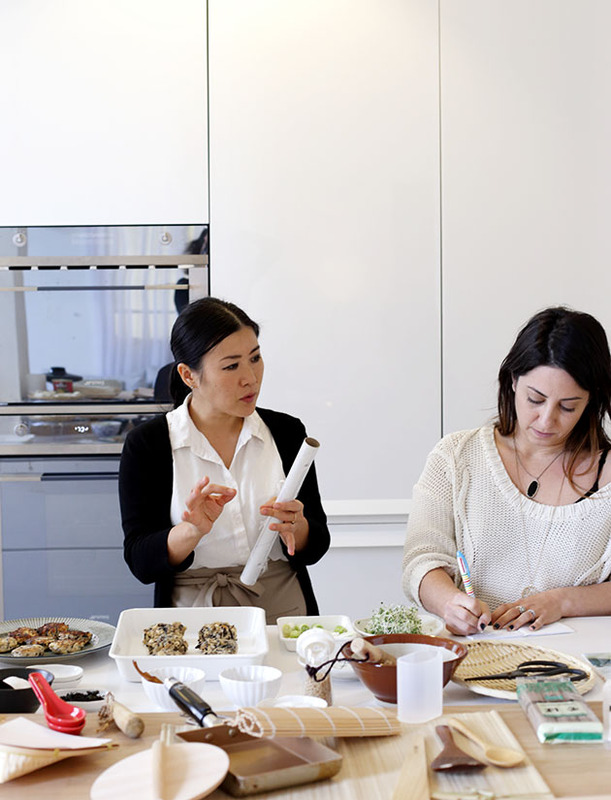 Even I who has lived in Jaffa for over a decade felt exciting roaming through the picturesque alleys of the Ajami neighborhood, opening the door of the spa, to find one of the most beautiful places I have seen, which so harmoniously combines to worlds of Jaffa and Japan. Instead of asking for payment for the photography session, I decided to ask for a barter. Photographs for spa treatment. One of the things I most dislike about getting massages is the feeling that minutes and seconds are being counted. That feeling that you can just feel when the massage is going to end and the hour dream you have just been living is over. With Yoko, the feeling of time is insignificant; from the moment you step into the spa, time seems to disappear. I thought maybe I got some special treatment, but when I sent my mom there, she came back with the exact same feelings. Yoko has simply put her heart and soul into the spa, and it is evident with every touch (literally and figuratively). On that day that I shot the place I offered Yoko to collaborate with us on the blog. 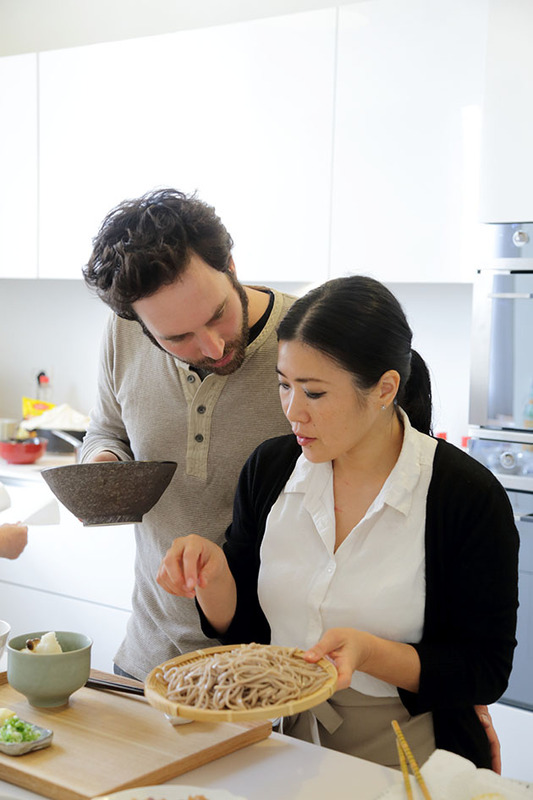 We have never done a Japanese recipe, and we thought it would be great idea to do something authentic. But Yoko declined, saying that she wasn’t such a great cook, but that her mom would be visiting from Japan in a few weeks and that she is a master in the kitchen. And so a few weeks went by and Yoko called saying that her mother was in town and if we would like to come over for a meal. 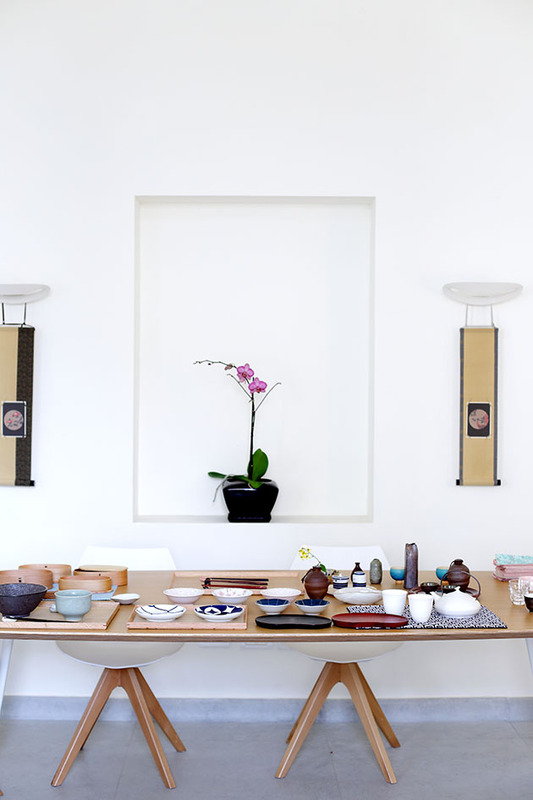 And when we came into the spa, we were greeted by the most beautiful Japanese dishes, the most tempting scents and smells, and in the end, a delicious meal and and even more delightful encounter. 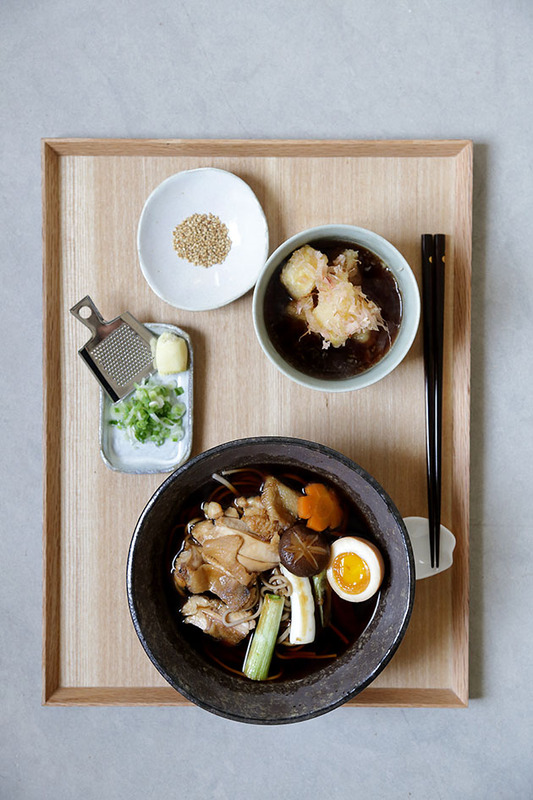 This is the basic recipe for broth that you will find in many classic Japanese dishes. Japanese cooking prides itself on balanced flavors, something that this broth proudly upholds- its a bit salty and bit sweet. Place all ingredients in a medium saucepan and bring to a boil and then reduce heat. Cook until all sugar is melted and ingredients are combined. 1. Drain the tofu by wrapping tofu with 3-4 layers of paper towels and place on a plate. Place a flat plate on top of the tofu to squeeze the liquid out for 15 minutes. 2. Place the Mentsuyu in a saucepan and bring to a boil. 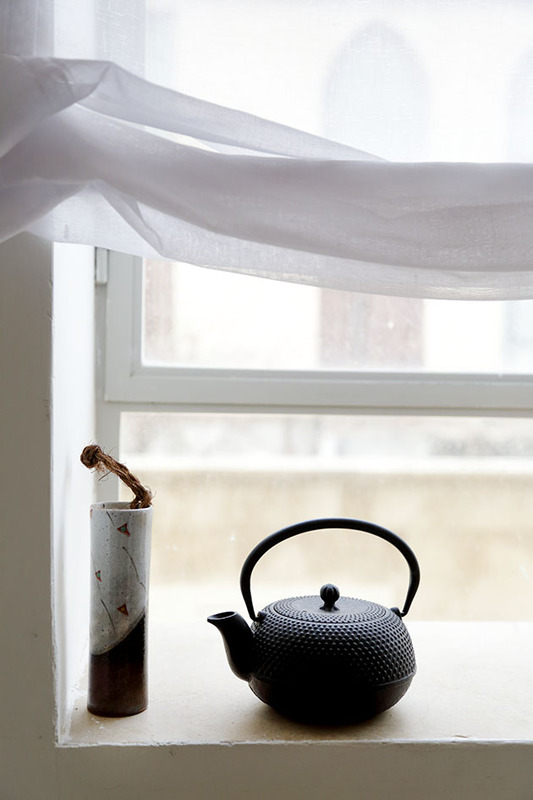 Turn off the heat and set aside. 3. Remove tofu from paper towels and cut tofu into 8 pieces. 4. Heat 1½ inch of oil the oil to 350F (175C) in a deep fryer. Coat the tofu with tempura flour and deep fry until they turn light brown and crispy. 5. Remove the tofu and drain excess oil on a plate lined with paper towels. 6. To serve, place the tofu in a serving bowl and pour the sauce on the tofu. Garnish with grated daikon. This recipe calls for marinating the eggs overnight. In order to make sure that the eggs are completely covered by the marinade, Yoko taught us to place a piece of paper towel into the bowl and gently wrap the egg with the paper towel. To cut to the egg once ready, line a sharp knife with plastic wrap to keep the cut clean from runny yolk. 1. Place soy sauce, sake, mirin, sugar and a 1/2 cup of water in a medium saucepan and bring to a boil. Reduce heat and cook until sugar is melted. Remove from heat and allow to cool to room temperature. 2. In a separate saucepan, fill the pan with cold water, add the eggs and cook on high heat. Once the water reaches a boil, cook for 6-7 minutes and remove from heat. 3. Place eggs immediately into a cold water bath and then carefully remove the shells. 4.Place peeled eggs into the soy sauce mixture and marinate overnight. 1. In a small bowl, mix together the soy sauce, sake, miring and sugar. Add the chicken and let marinade for at least 2 hours. 2. In a medium saucepan, cook the soba noodles in boiling water for about 8 minutes and strain. (Each type of soba has a different boiling time, so follow the instructions on the package). 3. Heat oil in a pan over high heat and add the chicken and green onion. Saute for about 5 minutes until the chicken is cooked through and then remove the chicken from the pan. Slice the chicken into strips and return to the pan. Add the chicken marinade and the shitake mushrooms. Cook for another two minutes. Remove from heat. 4. Heat the Mentusuyu broth, and then place in a bowl. Add the strained soba noodles and top with the chicken, green onion and shitake. 5. Garnish with the Nitamago (soft boiled egg), and serve with fresh ginger, toasted sesame seeds and fresh chopped green onion.